Film is an art form with a language and an aesthetic all its own. Since 1979, David Bordwell and Kristin Thompson’s Film Art has been the best-selling and most widely respected introduction to the analysis of cinema. Taking a skills-centered approach supported by examples from many periods and countries, the authors help students develop a core set of analytical skills that will enrich their understanding of any film, in any genre. In-depth examples deepen students’ appreciation for how creative choices by filmmakers affect what viewers experience and how they respond. Film Art is generously illustrated with more than 1,000 frame enlargements taken directly from completed films, providing concrete illustrations of key concepts. 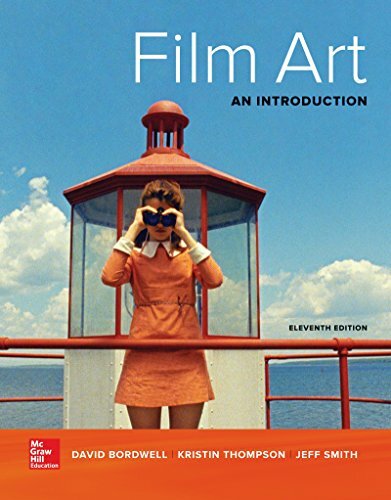 Along with updated examples and expanded coverage of digital filmmaking, the eleventh edition of Film Art delivers SmartBook, first and only adaptive reading experience currently available, designed to help students stay focused, maximize study time and retain basic concepts.